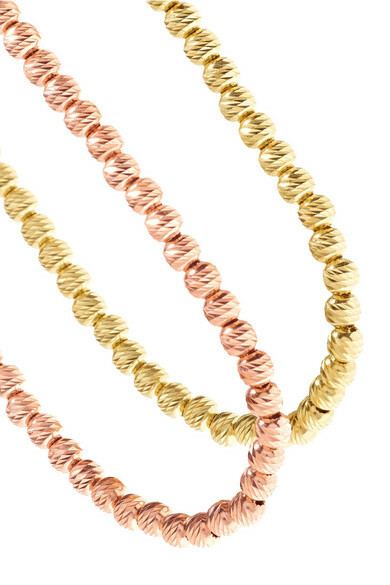 Carolina Bucci is famed for creating jewelry with a "modern and effortless sense of luxury." 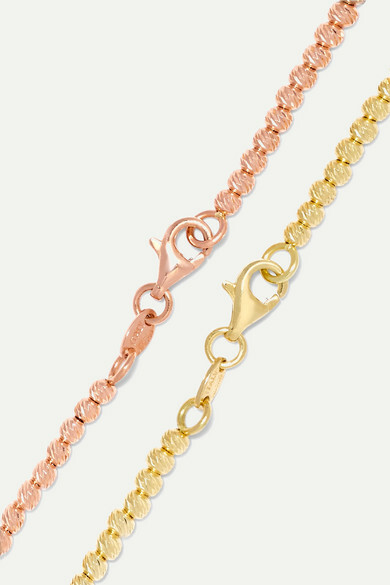 Finely crafted in complementary 18-karat yellow and rose gold, this set of two bracelets looks beautiful worn separately or together. Shown here with: Goldsign Jeans, Joseph Shirt, Carolina Bucci Bracelet, Carolina Bucci Bracelet, Carolina Bucci Necklace, Carolina Bucci Necklace, Carolina Bucci Ring.